Our two heroes of the Prudential Ride London! Adrian: Upon arriving at the start, we were placed in pens, according to our expected finishing times. 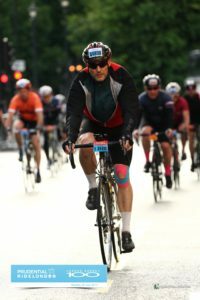 At the allocated time, 08:48, I, along with 100 or so other riders, were sent on our way to ride the 100 miles through the closed roads of London and Surrey all the way back to the Mall, finishing outside Buckingham Palace. For the vast majority of the day we had pleasant sunshine, albeit with a nagging wind in places. 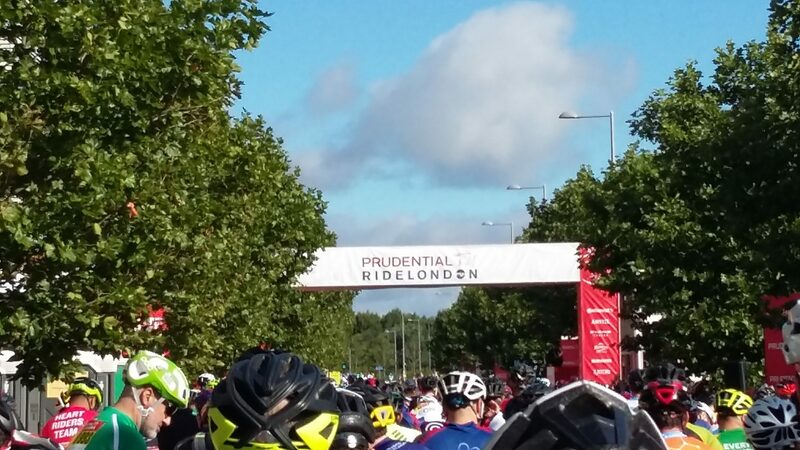 It was fantastic to cycle along some of the route that I have run in the London Marathon. The whole day was fantastically marshalled and organised. Indeed, getting towards the finish I became quite tearful in the knowledge that my little 100 miles along with my sponsors were going to be able to make a difference to some people we may never get to meet. My official time was 6.21, but ride time under 6 hours. Marcus: Although my start time was 06:08, I had to get up at 03:00 in order to cycle to the ‘QEOP’ and arrive at my wave gate for 04:40. We had torrential rain the night before, so the temperature was less than expected. There were humongous puddles on route, so we all got a good soaking before we even started the main event. Fortunately, I had the foresight to wear bin liners under my socks! 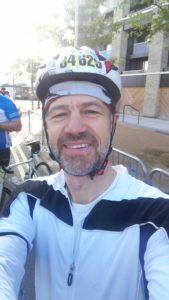 Meeting the Daybreak team at the 75 mile mark was a great morale booster, with a hot cup of tea and a slice of banana cake – just what I needed for the final 25 mile push to the Mall. My overall time was 6 hours and 58 minutes, including an hour of breaks, so a ride time of less than 6 hours. All in all, a fantastic experience.